Hi everyone! My name is Nishita Sheth and I am a senior studying Nutrition and Biology with a minor in Neuroscience. My interests lie in translating a biochemical understanding of the human body into tangible medical, technological, and political interventions that empower patients in order to improve global health outcomes. I love the opportunity that AMWHO provides for students investigate and debate public health issues through a collaborative framework, while inspiring the flow of connections, ideas, and energy throughout the weekend. Apart from AMWHO, you can find me with my residents as a Resident Advisor, exploring coffee shops in Carrboro, or failing to make funny jokes. I am beyond excited to meet you at our upcoming conference! Hey y'all! My name is Pooja Joshi, and I'm a senior studying Health Policy and Management with minors in Entrepreneurship and Asian Studies. I'm interested in the process of healthcare innovation and how the public and private sectors can work together to change the face of global health. AMWHO is an amazing organization that fosters engaging debate, and I love that after every conference, delegates go home super excited about the ideas that have come up over the weekend and start implementing those ideas in their own contexts. Outside of AMWHO, you can find me working on the Triangle Health Innovation Challenge; singing with my a cappella team, UNC Samaa; and drinking inhuman quantities of coffee (of which there is no shortage in Chapel Hill/Carrboro). I'm really excited to meet you at one of our campus events, or at our upcoming conference this spring! Hi there! 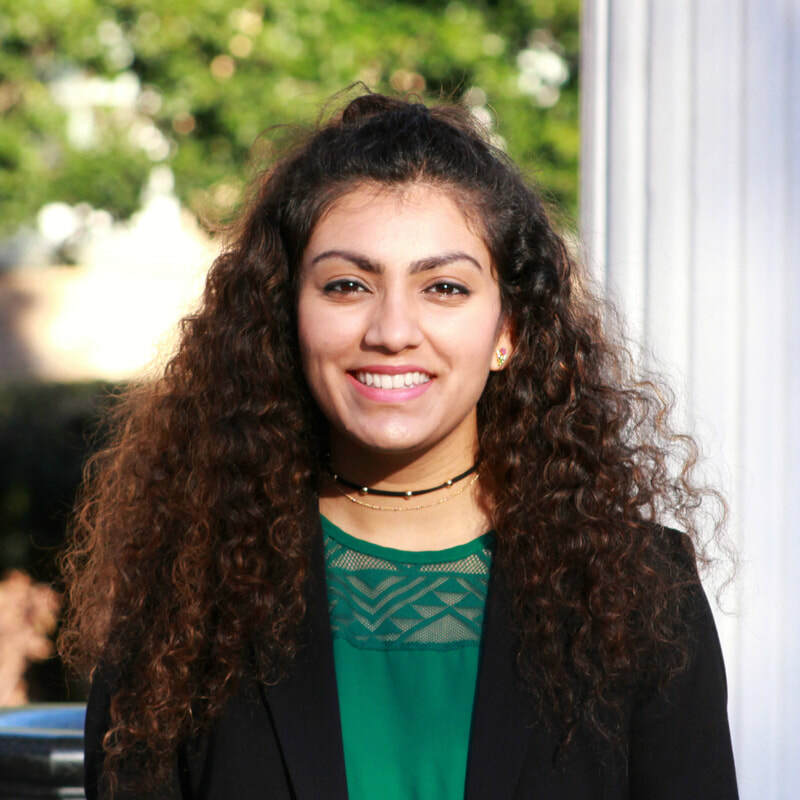 I'm Rida Shams, and I'm humbled to be the Co-Director for the 2019 UNC AMWHO Regional Conference! I'm from Atlanta, GA and I'm a senior majoring in Health Policy and Management at the Gillings School of Global Public Health along with a minor in Spanish for the Health Professions. I started my involvement with AMWHO as the delegate of Laos in the 2015 national conference, and I have loved staying involved with the organization ever since at both the UNC chapter level and national level. Outside of AMWHO and academics, I go to the gym, make constant Harry Potter references, and enjoy learning different styles of dance. I am excited to see what we accomplish this year in AMWHO! ​Hello! My name is Jarred Lobo and I'm excited to be the co-director of the 2019 UNC Regional Conference! I'm a junior and am majoring in Neuroscience and Public Policy with a minor in Spanish for the Health Professions. My first experience with AMWHO was as a delegate from Australia at the 2016 UNC Regional Summit on Infectious Diseases. At the summit, I enjoyed discussing pressing public health issues and collaborating with other representatives to create a proposal to address them. Participating in this process showed me how complex the world's health problems are and emphasized the importance of health policy as an effective way to confront them. This year, I look forward to helping AMWHO grow so that students across the region will have an opportunity to partake in this unique experience. Outside of AMWHO, I am involved in Carolina Conexiones, SHAC, and the Newman Center. My other interests include eating ice-cream, running, and traveling. ​Hello everyone! My name is Annie Chen and I am excited to serve as your Theme Director. I am a senior studying Public Health Nutrition, with minors in Asian Studies and Chemistry. As I explore public health, I have developed deep interests in local rural healthcare and food access, and learning about my role in relieving food disparities through agricultural initiatives. With AMWHO's influence and teachings, my passions for rural health extended globally; and I found myself exploring different countries and learning what other countries’ rural healthcare systems are like. I love to travel, eat food, and read! Outside of AMWHO, I am involved in nutritional coaching with Flourish, working with UNC APPLES, and teaching with Cooking Matters. I am really excited to meet everyone! Hello everyone! 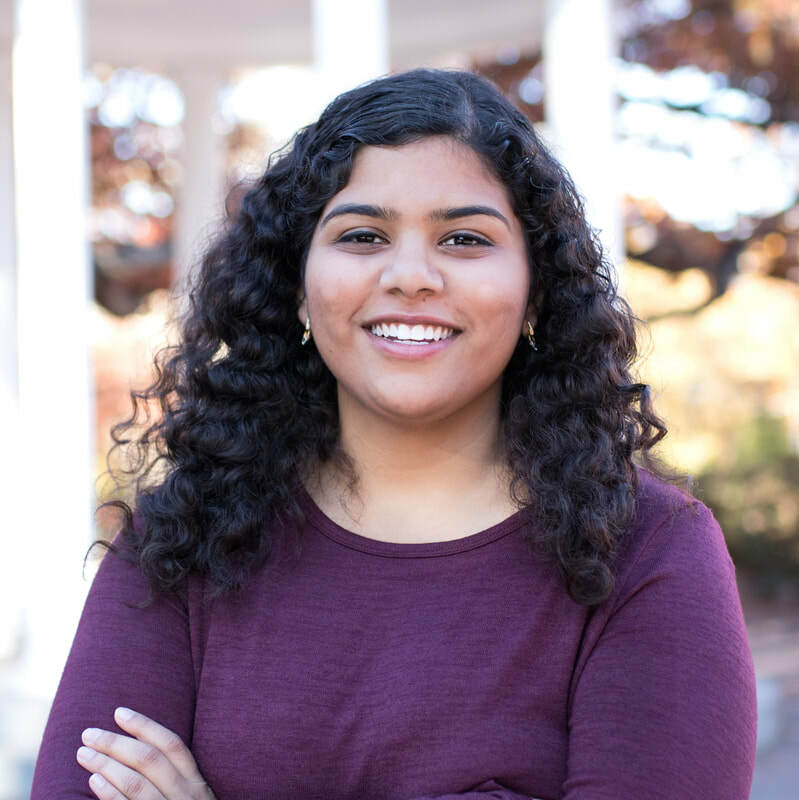 My name is Joanne Thayil and I am honored to serve as the Dais Director for the UNC AMWHO 2019 Regional Conference. I am a senior majoring in Biology and Anthropology with a minor in Chemistry. I’m extremely passionate about equitable access to healthcare, particularly with minority communities, and I hope to further explore how to explore this issue as a career in the future. I have served as a Chair for the AMWHO 2018 International Conference, a Vice Chair for the UNC AMWHO 2017 Regional Summit, and as a delegate for the AMWHO 2017 National Conference, which has allowed me to experience AMWHO throughout many different lenses. I’ve loved every second of my time with AMWHO and can’t wait to give back to an organization I love and work hard to ensure everyone has a great conference. Outside of AMWHO, you’ll see me serving as the Executive Director for both Splash UNC and The Superhero Project. You’ll also probably see me cooking, drinking boba tea, petting dogs, and engaging in Netflix marathons. I’m excited to meet each and everyone of you and I can’t wait to see what all you accomplish at this conference! Hey, everyone! My name is Llana Abella, and I am extremely honored to be a Co-Director of Internal Logistics. I am a junior double-majoring in Chemistry and Neuroscience with a minor in Creative Writing in Poetry. Through organizations like AMWHO and several courses at UNC, I became very interested in global health and the healthcare system, which perfectly fused with my interest in medicine. My first experience with AMWHO was the 2016 Regional Conference on Reproductive Health Equity, where I represented the United Kingdom in the EURO region. Outside of AMWHO, you'll find me listening to music (Chance, Frank Ocean, Khalid, Miguel, Joji, the list goes on...), teaching kids how to cook healthy foods for No Kid Hungry NC, running really late at night, drinking boba, or eating sushi! Hi there! My name is Anna (pronounced like the Frozen character) and I am a sophomore at UNC Chapel Hill. This year I am excited to be serving AMWHO as the Co-Director of Internal Logistics, after serving as Secretary last year. At UNC, I am studying biology and business, with the goal of working in the public health field after going to medical school. In my opinion, AMWHO is the best way to put public health opinions and knowledge into practice, and I am looking forward to hearing lively debates at the 2019 conference! Outside of school, you can find me at any art museum, at the CEF office in Chapel Hill, or my favorite ice cream spot. Don't hesitate to stop and introduce yourself to me, I am so excited to meet you at the conference! ​Hi! I'm Chris Lurie, a senior studying Health Policy and Management. I'm excited to continue contributing to AMWHO as the Co-Director of External Affairs! My first experience with AMWHO came as a delegate, and from there I became a member of the Dais before co-directing the first AMWHO Summit and last year co-directing campus affairs. I continue to invest my time in AMWHO because I have found every step of the experience to be filled with great people, opportunities for learning, and fun! ​Hello everyone! My name is Alexa Ramlall and I am extremely honored to be serving as a Co-Director of External Logistics. I am a rising junior majoring in Global Studies and minoring in Medical Anthropology and Health and Society. My experience in AMWHO began with the 2017 Conference in Atlanta and continued at the 2018 Conference at UNC where I served as a Dias member for the AFRO region. In the future, I hope to become a physician knowledgeable about the global public health issues that create barriers for equitable health care access. AMWHO is an amazing way to discuss these issues and brainstorm innovative solutions along with peers who share the same passion. Outside of AMWHO, I am an Admission Ambassador for the university and enjoy playing tennis, traveling, and eating hibachi! ​Hi! My name is Sanjana Rao and I am excited to be UNC AMWHO's Media Director this year. I'm from Cary, NC, and I'm a junior majoring in Environmental Health Sciences. I began my involvement with AMWHO as a delegate from Chile in the 2017 Summit. I enjoyed every minute of it, prompting me to continue my involvement with this amazing organization and furthering my interest in the field of public health. Outside of AMWHO I also enjoy cartooning, dancing, and watching Scandal. I'm excited for this year with UNC AMWHO and to see what we accomplish! ​Hi, everyone! My name is Anisha Khanna, and I am a sophomore here at Carolina on the premed track intending to major in Health Policy and Management with a minor in Chemistry. My first experience with AMWHO was last semester when I served as a delegate for Belgium in the 2018 International Conference on Global Health Innovation. I loved the experience of collaborating with undergrads around the country, and actually trying to find solutions to pressing problems within the field of public health rather than just talking about them. Outside of AMWHO you'll find me singing along to Beyoncé, eating Maple View Ice Cream, and adding Siracha to every meal I eat (besides the ice cream). I'm excited to meet you this year! ​Hi! 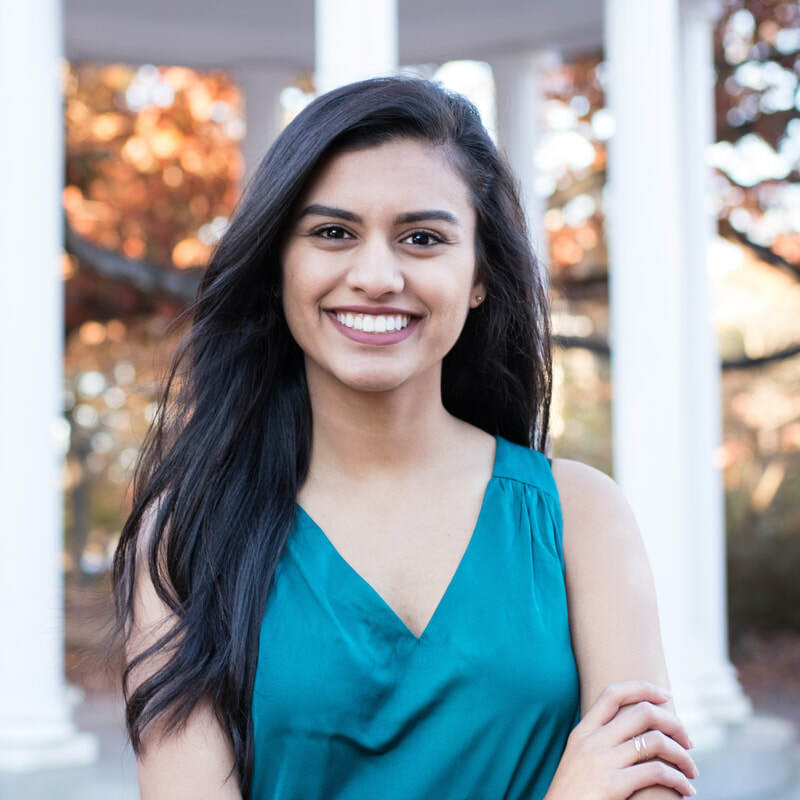 My name is Manisha Dubey, and I'm the Director of Finance and Sponsorship for UNC AMWHO this year. I'm from Charlotte, NC, and I'm on the pre-med track with a major in Health Policy and Management and minors in Spanish for the Health Professions and Chemistry. I love that AMWHO provides the innovative, collaborative environment of open thought and discussion that I think can truly drive change in global public health. As an aspiring doctor, I think AMWHO provides great ways for pre-health students especially to think about how social, economic, and political forces shape healthcare outside of the realm of science. When I'm not working, you can find me watching Parks and Recreation or The Office, snuggled up with a good book, or speed walking (never running) on the treadmill or outside in nature. I can't wait to meet everyone; it's gonna be a great year! Hello! My name is Andrew Se and I'm excited to be serving as UNC AMWHO's Assistant Director of Finance & Sponsorship. I'm a sophomore from New Jersey and I'm looking to major in Health Policy & Management at the Gillings School of Global Public Health with a minor in Biology. I was first exposed to the field of public health by a mentor in a development conference in my junior year of high school. Since then, I have been taking numerous classes and finding new avenues to broaden my interest in health policy. In the future, I hope to work with disease transmission within the sphere of community planning and infrastructure development. I was first involved with AMWHO as the Rapporteur for the African Region at the 2018 International Conference on Global Health Innovation here at UNC. This experience provided me with a great opportunity to focus on health issues and policy implications for developing nations. Apart from AMWHO, you can find me editing articles for Carolina Scientific or managing membership auditions for Heeling in Harmony. I can't wait to meet you all and I'm really looking forward to working with AMWHO this year! Hi! My name is Mali and I'm a senior at UNC studying Health Policy and Management and Global Studies with a focus in global health and Asia. I have been involved in AMWHO since participating as a delegate in UNC’s fall 2016 conference and have since served on Dais and the AMWHO National board as the Chapter Director. 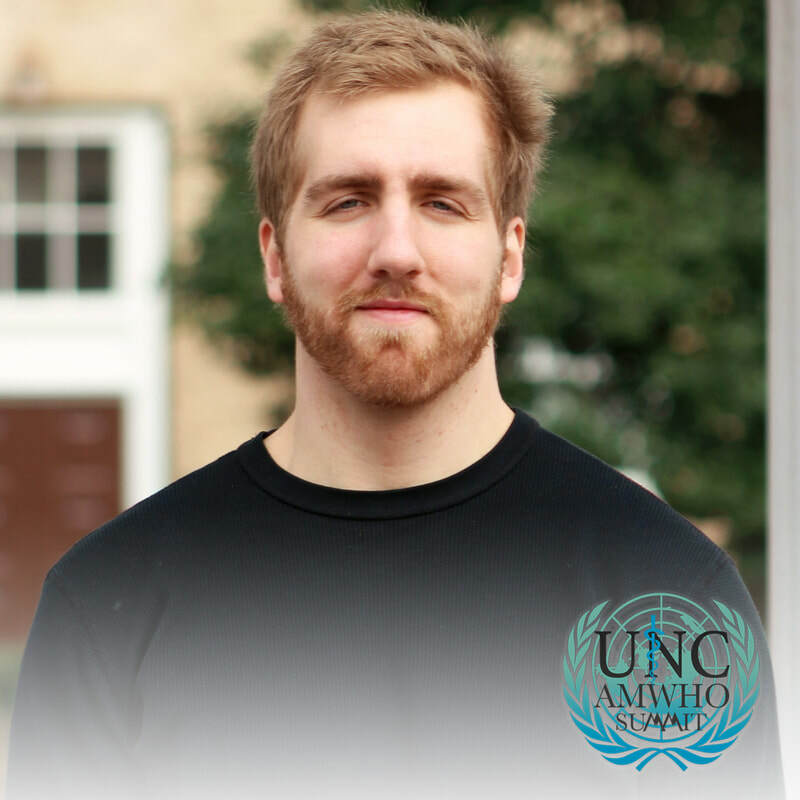 I am thrilled to serve as the campus affairs director for AMWHO this year and utilize my global health and chapter development experience to bring AMWHO to all UNC students and emphasize the importance of global health issues while enhancing skill-building and teamwork. I am also involved with UNICEF at Carolina and the Global Studies Student Association. I love to read, write, spend time in nature, travel, and listen to music. I can’t wait for another successful year of AMWHO at UNC! Hi everyone! My name is Becca Sullenger and I am honored to serve as one of the Co-Directors of Campus Affairs for the second year in a row. I am a junior at UNC-Chapel Hill majoring in Health Policy and Management at the Gillings School of Global Public Health as well as minoring in Spanish for the Health Professions. 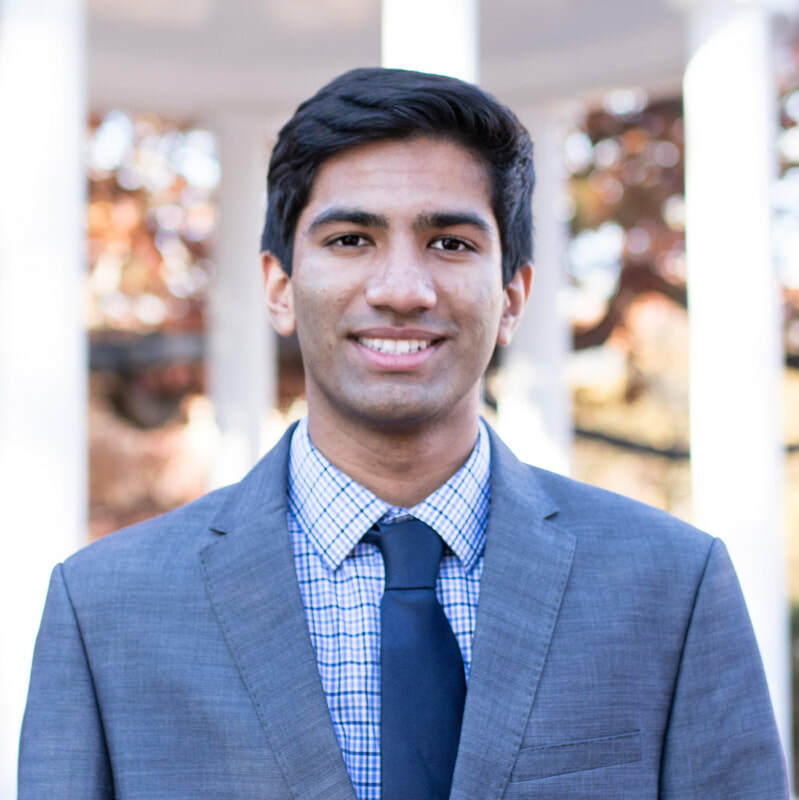 Since my freshman year of high school, I have been interested in global health care policy as well as working towards making healthcare accessible to everyone regardless of their socio-economic status. I have worked with Partners in Health to combat such healthcare inequity and spread awareness about healthcare need. I am excited to continue working on this critical issue in college with AMWHO. Some of my other interests include running, baking, and traveling. I look forward to meeting you and exploring our mutual passion for improving global and public health! ​Hey guys! My name is Juan Avilez and I am very excited to be the Secretary for AMWHO this year! I'm a freshmen at UNC Chapel Hill, majoring in Political Science and Music. I've decided to get involved with AMWHO to expand my knowledge of the current public health situation and to get involved in the lively debates. I'm looking forward to contributing all I can to make this next conference the best it can be! Outside of AMWHO, you'll often find me in a practice room, running, reading, or out exploring.